WITH ALL THE DATA AND SPECIFICATIONS. THIS IS A FOLD OUT BROCHURE. HERE IS A BROCHURE FOR 1990 SEDDON ATKINSON PEGASO TRONER 4X2 TRACTOR, THIS BROCHURE IS WELL ILLUSTRATED AND HAS ALL THE TECHNICAL DATA AND IS A FOLD OUT BROCHURE. THIS BROCHURE IS IN VERY GOOD CONDITION. HERE IS A BROCHURE FOR 1980'S MACK INTERSTATER DIESEL TRUCKS, THIS BROCHURE IS WELL ILLUSTRATED AND HAS ALL THE TECHNICAL DATA AND SPECIFICATIONS. THIS BROCHURE IS IN GOOD CONDITION WITH THE VERY SLIGHTEST OF MINIMAL WEAR AND A SMALL PRICE STICKER TO THE TOP RIGHT CORNER OF THE FRONT COVER OTHERWISE VERY GOOD. THIS BROCHURE IS IN VERY GOOD CONDITION. HERE IS A BROCHURE FOR 1980'S KENWORTH TRANSORIENT, THIS BROCHURE IS WELL ILLUSTRATED, HAS ALL THE TECHNICAL DATA. THIS BROCHURE IS IN GOOD CONDITION WITH VERY SLIGHT MINIMAL WEAR AND A SMALL PRICE STICKER TO THE TOP RIGHT CORNER OF THE FRONT COVER OTHERWISE VERY GOOD. THIS BROCHURE IS IN GOOD CONDITION WITH A CREASE TO THE COVER NEAR THE SPINE OTHERWISE VERY GOOD. THIS BROCHURE IS IN GOOD CONDITION WITH VERY SLIGHT WEAR AND 2 VERY TINY TEARS TO THE COVER AND A SMALL PRICE STICKER TO THE TOP RIGHT CORNER OF THE FRONT COVER OTHERWISE VERY GOOD. HERE IS A BROCHURE FOR 1980'S SEDDON ATKINSON TRACTORS, THIS BROCHURE IS WELL ILLUSTRATED AND HAS ALL THE TECHNICAL DATA AND SPECIFICATIONS. THIS BROCHURE IS IN VERY GOOD CONDITION. HERE IS A BROCHURE FOR 1990'S RENAULT THE NEW 50 SERIES, THIS BROCHURE IS WELL ILLUSTRATED AND HAS ALL THE TECHNICAL DATA. S56-90 VAN 5600KG. THIS BROCHURE IS IN VERY GOOD CONDITION. HERE IS A BROCHURE FOR 1993 VOLVO FH12/ FH16, THIS BROCHURE IS WELL ILLUSTRATED AND HAS ALL THE TECHNICAL DATA AND SPECIFICATIONS. THIS BROCHURE IS IN VERY GOOD CONDITION. HERE IS A BROCHURE FOR 1985 VOLVO FL7 - FL10, THIS BROCHURE IS WELL ILLUSTRATED AND HAS ALL THE TECHNICAL DATA AND SPECIFICATIONS. THIS BROCHURE IS IN GOOD CONDITION WITH VERY SLIGHT SHELF WEAR OTHERWISE VERY GOOD. HERE IS A BROCHURE FOR 1980'S OSHKOSHR SERIES TRUCKS WITH CATERPILLAR DIESEL ENGINES, THIS BROCHURE IS WELL ILLUSTRATED AND HAS ALL THE TECHNICAL DATA AND SPECIFICATIONS. THIS BROCHURE IS IN GOOD CONDITION WITH A SMALL PRICE STICKER TO THE TOP RIGHT CORNER OF THE FRONT COVER AND A VERY SMALL PEN MARK TO THE MARGIN OF FRONT COVER OTHERWISE VERY GOOD. 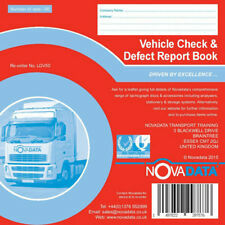 LGV 'Nil Defect' book suitable for VOSA walk around daily check. Pages are duplicated and numbered. 50 check sheets per book. Next Bus Ltd have for sale . HERE IS A BROCHURE FOR 1990'S ERF TRACTOR RANGE, THIS BROCHURE IS WELL ILLUSTRATED AND HAS ALL THE TECHNICAL DATA. THIS BROCHURE IS IN VERY GOOD CONDITION. HERE IS A BROCHURE FOR 1985 VOLVO AIR SUSPENTION F10 AND F12, THIS BROCHURE IS WELL ILLUSTRATED AND HAS ALL THE TECHNICAL DATA AND IS A FOLD OUT BROCHURE. THIS BROCHURE IS IN VERY GOOD CONDITION. HERE IS A BROCHURE FOR 1987 VOLVO F RANGE INTERCOOLER, THIS BROCHURE IS WELL ILLUSTRATED AND HAS ALL THE TECHNICAL DATA AND IS A FOLD OUT BROCHURE. THIS BROCHURE IS IN VERY GOOD CONDITION. DODGE range Truck Brochure From Around Early 1970s. 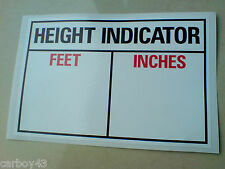 Condition is Used with some cover staining but perfectly readable.Dispatched with Royal Mail 2nd Class Large Letter. HERE IS A BROCHURE FOR 1980'S OSHKOSH E SERIES TRANSPORTERS, THIS BROCHURE IS WELL ILLUSTRATED AND HAS ALL THE TECHNICAL DATA AND SPECIFICATIONS. THIS BROCHURE IS IN GOOD CONDITION WITH A SMALL PRICE STICKER TO THE TOP RIGHT CORNER OF THE FRONT COVER OTHERWISE VERY GOOD. 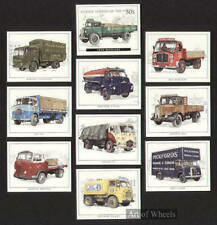 HERE IS A BROCHURE FOR 1980'S OSHKOSH DEPENDABLE TRUCKS FOR THE OIL INDUSTRY, THIS BROCHURE IS WELL ILLUSTRATED. THIS BROCHURE IS IN GOOD CONDITION WITH A SMALL PRICE STICKER TO THE TOP RIGHT CORNER OF THE FRONT COVER OTHERWISE VERY GOOD. HERE IS A BROCHURE FOR 1980'S MACK DM SERIES TRUCKS, THIS BROCHURE IS WELL ILLUSTRATED AND HAS ALL THE TECHNICAL DATA AND SPECIFICATIONS. THIS BROCHURE IS IN GOOD CONDITION WITH A SMALL PRICE STICKER TO THE TOP RIGHT CORNER OF THE FRONT COVER OTHERWISE VERY GOOD. HERE IS A BROCHURE FOR 1980'S TORONTO PRTERBILT, THIS BROCHURE IS WELL ILLUSTRATED AND HAS ALL THE TECHNICAL DATA AND SPECIFICATIONS. THIS IS A 2 SIDED BROCHURE. THIS BROCHURE IS IN VERY GOOD CONDITION. HERE IS A BROCHURE FOR 1980'S SEDDON ATKINSON 2-11 MUNICIPAL RANGE, THIS BROCHURE IS WELL ILLUSTRATED AND HAS ALL THE TECHNICAL DATA AND SPECIFICATIONS. THIS BROCHURE IS IN VERY GOOD CONDITION. 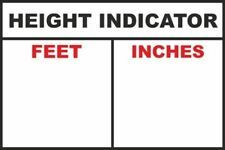 HERE IS A BROCHURE FOR 1980'S OSHKOSH MODEL F-2044-1E-1X DESERT KNIGHT, THIS BROCHURE HAS ALL THE TECHNICAL DATA AND SPECIFICATIONS. THIS BROCHURE IS IN GOOD CONDITION WITH A SMALL PRICE STICKER TO THE TOP RIGHT CORNER OF THE FRONT COVER OTHERWISE VERY GOOD. HERE IS A BROCHURE FOR 1980'S INTERNATIONAL HARVESTER XL SERIES, THIS BROCHURE S WELL ILLUSTRATED AND HAS ALL THE TECHNICAL DATA AND SPECIFICATIONS. THIS BROCHURE IS IN GOOD CONDITION WITH THE VERY SLIGHTEST OF MINIMAL WEAR OTHERWISE VERY GOOD. HERE IS A BROCHURE FOR 1990'S FORD IVECO CARGO 24 TONNE SIX-WHEELER RANGE, THIS BROCHURE IS WELL ILLUSTRATED, HAS ALL THE TECHNICAL DATA AND SPECIFICATIONS. THIS BROCHURE IS IN GOOD CONDITION WITH SLIGHT WEAR OTHERWISE VERY GOOD. VERY INFORMATIVE BROCHURE IN EXCELLENT CONDITION. REDUCING MY COLLECTION. HERE IS A BROCHURE FOR 1980'S SEDDON ATKINSON MULTI-WHEELERS, THIS BROCHURE IS WELL ILLUSTRATED AND HAS ALL THE TECHNICAL DATA AND SPECIFICATIONS. THIS BROCHURE IS IN GOOD CONDITION WITH A COUPLE OF MARKS TO THE COVER OTHERWISE VERY GOOD. DOUBLE SIDED A4 SHEETS IN VGC ( ONE IS A BIT WORN BUT INFO STILL READABLE ). HERE IS A BROCHURE FOR 1980'S OSHKOSH MODEL F-2065 DESERT PRINCE, THIS BROCHURE HAS ALL THE TECHNICAL DATA AND SPECIFICATIONS. THIS BROCHURE IS IN GOOD CONDITION WITH A SMALL PRICE STICKER TO THE TOP RIGHT CORNER OF THE FRONT COVER OTHERWISE VERY GOOD. THIS BROCHURE IS IN GOOD CONDITION WITH A SMALL PRICE STICKER TO THE TOP RIGHT CORNER OTHERWISE VERY GOOD. HERE IS A BROCHURE FOR 1984 FORD IVECO Z RANGE DIESEL TRUCKS, THIS BROCHURE IS WELL ILLUSTRATED, HAS ALL THE TECHNICAL DATA AND SPECIFICATIONS. THIS BROCHURE IS IN GOOD CONDITION WITH SLIGHT WEAR TO THE COVER OTHERWISE VERY GOOD. HERE IS A BROCHURE FOR 1988 SCANIA UK TRUCK RANGE, THIS BROCHURE IS WELL ILLUSTRATED AND HAS ALL THE TECHNICAL DATA AND SPECIFICATIONS. THIS BROCHURE IS IN VERY GOOD CONDITION. 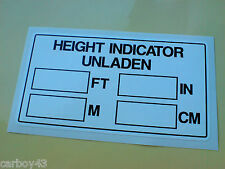 X2 decals, These are 85mm tall x 280mm wide each. Standard colour sent is White. 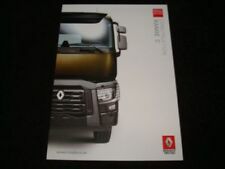 HERE IS A BROCHURE FOR 1992 RENAULT R RANGE, THIS BROCHURE IS WELL ILLUSTRATED AND HAS ALL THE TECHNICAL DATA. THIS BROCHURE IS IN VERY GOOD CONDITION. HERE IS A BROCHURE FOR 1980'S SCANIA IN THE UK, THIS BROCHURE IS WELL ILLUSTRATED AND HAS ALL THE INFORMATION ABOUT THE HISTORY AND PRODUCTION. THIS BROCHURE IS IN GOOD CONDITION WITH LIGHT MARKINGS TO THE COVER OTHERWISE VERY GOOD. HERE IS A BROCHURE FOR 1993 VOLVO GEARTRONIC A FULLY AUTOMATED CONVENTIONAL GEARBOX, THIS BROCHURE IS WELL ILLUSTRATED AND HAS ALL THE TECHNICAL DATA AND IS A FOLD-OUT 4 DOUBLE SIDED BROCHURE. THIS BROCHURE IS IN VERY GOOD CONDITION. 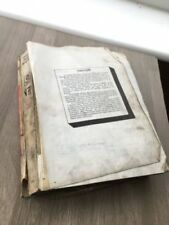 TWO ERF B SERIES MANUALS SLIGHT VARIATION ONE WITH FOLD OUT WIRING DIAGRAM. HERE IS A BROCHURE FOR 1989 VOLVO FL6 RANGE, THIS BROCHURE IS WELL ILLUSTRATED AND HAS ALL THE TECHNICAL DATA AND SPECIFICATIONS. THIS BROCHURE IS IN VERY GOOD CONDITION.